Bride 2016 is now online . Spring/Summer 2016 is now available the Pateroni boutiques. just visit our boutiques and try them . 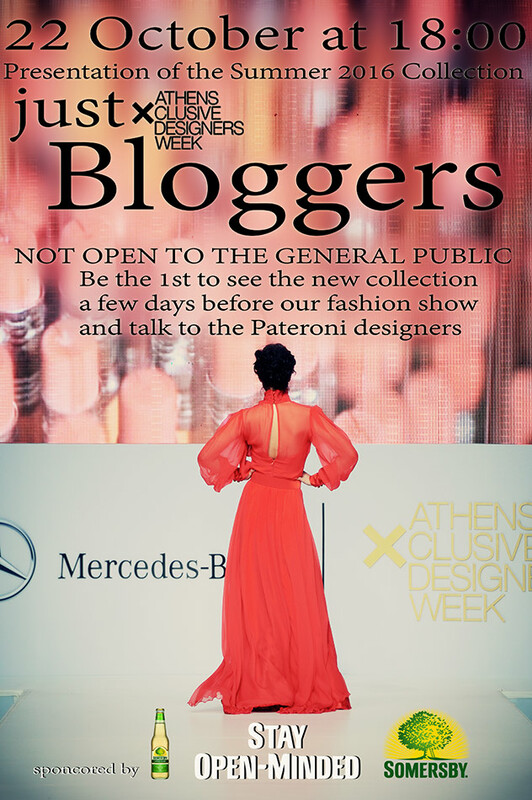 October 26 Rita Pateroni will attend the 18th Athens Xclusive Designers Week in Athens. The designers are sponsored by Somersby and will present the Spring/Summer 2016 Collection. Rita Pateroni Fashion house, is looking to hire a woman manager for the Doha-Qatar boutique, located at the Pearl. Offering good salary, commission on the sales and bonuses . Also providing accommodation and every day driver transport. Applicants must have experience on the fashion industry, good knowledge of English language, passion for fashion. Must have skills on leadership and sales. Grate Job opportunity in an amazing work environment .